The High Capacity Colour Cartridge from Del is specifically designed for Dell P513w All-In-One Printer that delivers an optimal level quality and performance. It features microscopic ink-drop size for incredible clarity and detail. Additionally, it produces high-resolution printouts with clear images and sharp text. 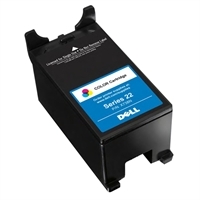 This cartridge supports Dell's Ink Management System for low ink detection and easy online ordering. 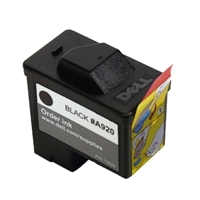 The High-Resolution Black Print Cartridge from Dell is specifically designed for the Dell All-in-One Printer A920. It features small ink-drop size for excellent clarity and fine detail. The cartridge produces high-resolution printouts with sharp images and brilliant photos. 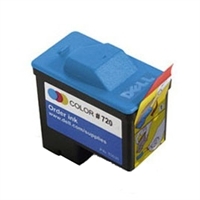 The High-Resolution Color Print Cartridge from Dell is specifically designed for the Dell All-in-One Printer A920. It features small ink-drop size for excellent clarity and fine detail. The cartridge produces high-resolution color printouts with sharp images and brilliant photos.